Washington expresses support for Israel's 'legitimate right to self-defense' after Hezbollah missile attack kills two soldiers. The United States stood by Israel Wednesday as it exchanged fire with Hezbollah terrorists in Lebanon in their most serious clashes in five years. "We support Israel's legitimate right to self-defense and continue to urge all parties to respect the blue line between Israel and Lebanon," State Department spokeswoman Jen Psaki told reporters. She added that Washington condemned Hezbollah's shelling of Israel near Har Dov with antitank missiles. Seven soldiers were injured and two were killed, along with a Spanish UN peacekeeper on the Lebanese side. The US condemnation came shortly before the UN Security Council was to meet on the crisis in New York. 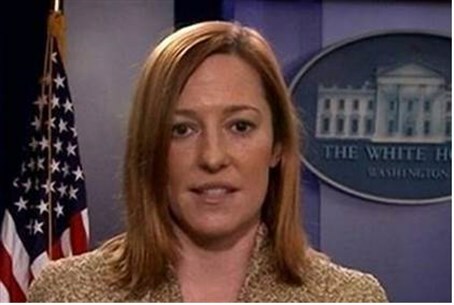 "We urge all parties to refrain from any action that could escalate the situation," Psaki said, adding Washington was closely monitoring the situation.